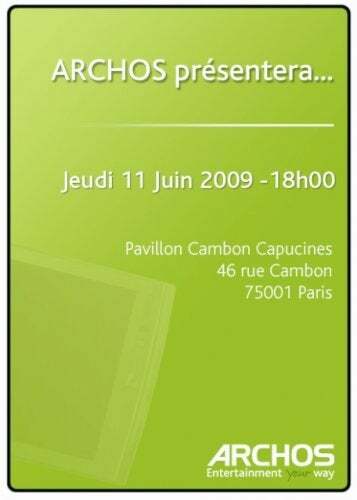 On its own, it's a stretch: the invite is green and vaguely Android-y, and there's a faint rectangular device in the background, therefore Archos must be working on an Android MID! Right? Well, they are.